Today we’ll talk about second-hand wargame miniatures market. About the reasons why people decide to sell their miniatures and about how it’s better to do it. Second-hand miniatures marker is a nice chance to collect an army cheap and quick. You can find real treasures – rare miniatures decently painted and with a good price. Who knows, why a person might want to sell them? There are many reasons, why people can sell their armies, collected and painted with love. A radical change in rules or players preferences, or a simple need for money. And sometimes players sell their miniatures just because they have no other choice, which is really sad. But should you really sell those miniatures? Even if you don’t like the new rules or your life has changed and you don’t have time for wargames anymore, maybe it’s better to cool down and just put the miniatures away to the shelf. Anyway – you’ve spent a lot of money and time on them, put a part of you into them. Who knows – maybe things will change and you will regret that you don’t have any miniatures any more. However, if you really need money and don’t have another choice, sometimes miniatures appear to be a nice investment. If you are a good painter, you can earn some even with second-hand miniatures, since there are a lot of people who don’t like to paint and would prefer a nice ready model to a new one. Besides, the prices always go up, so it might appear that you’re selling a miniature at the higher price, that you’ve bought it. Especially when it comes to the rare ones. 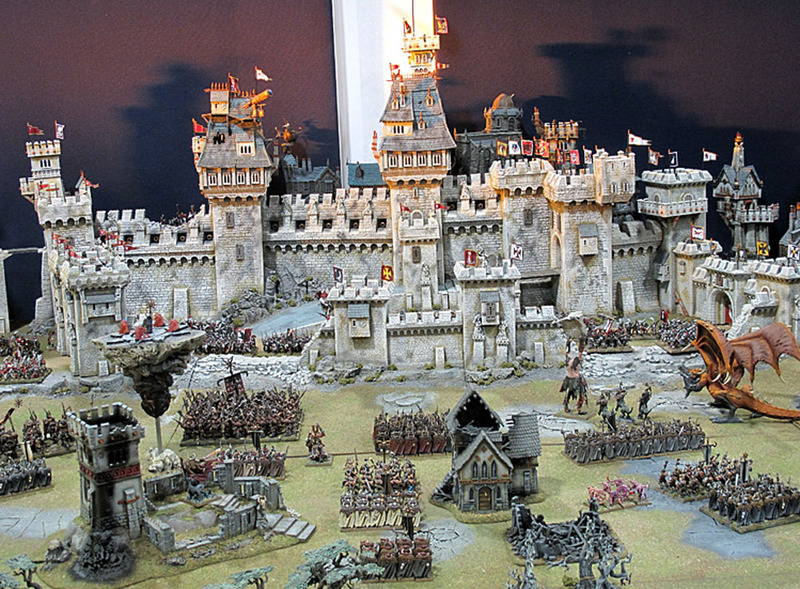 There are a lot of platforms where you can sell or exchange your miniatures. Almost every local wargame community has some. The hints about using them are really simple and obvious, but there are strangely a lot of players who ignore them. If you are a seller – don’t save on the quality of photos. Hi-res photos which allow seeing all the details of the model let potential buyers evaluate it and make a thoughtful choice. Even the coolest miniature can be ruined by the dark photo made with a cellphone. Also, be ready to provide some extra photos if the buyer asks. Sometimes they need different angles, weapon options or just unprepared photos to prove that you are not a fraud. Even if you cell a new box, it’s better to use real photos than using a picture from the site. It’s great if you can meet the buyer in person. But you often have to use post service. So, take care of the package. No one will appreciate it if there is a pile of powder in the box. It’s better to include the cost of a good package into the price of a miniature. Use hard boxes and soft filler of any kind. If you are buying miniatures, don’t hesitate to ask about things we’ve mentioned earlier – extra photos and good package. Also, check the history of the seller’s activity at this platform. Whether the account is fake or not. Try to chat with him or her – a person, who is a real part of the community and is aware of the wargame you’re playing, has less chances to appear a fraud. Besides, there are often black lists in the local communities – so check them for your potential seller. And the main thing – no matter what’s your role, be gentle and honest to each other. You are united by the same hobby and there are not so many people in it. Don’t risk your reputation and respect the other players. Dude... Duh? Like everyone on here doesn't know this all already?